Political activist Prince Ndoyi has observed that UPND leader Hakainde Hichilema is being overshadowed by Chishimba Kambwili in the country’s political arena. He said Hichilema seems to have lost energy and enthusiasm as can be noted from the recent press briefing held at the party’s secretariat. “As a young political activist I would like to make an observation on the current political temperature in our country. Listening to the most recent press briefing by the UPND and their leader Hakainde Hichilema was greatly worrying. The UPND and HH seem to be dropping gears and momentum each passing day,” Ndoyi stated. “It was saddening to see the lack of energy and enthusiasm in UPND leader Hakainde Hichilema after his press briefing. What seemed as a once brave politician in HH seems to have been reduced by what most Zambians would be left to speculate. Ndoyi observed that the recent press briefing which was jointly held with ADD president Charles Milupi and People’s Party president Mike Mulongoti was just a repetition of what the outspoken expelled Roan PF Member of Parliament has been saying. He added that Hichilema was literally begging Kambwili to join him when it should have been the other way round where Kambwili should be asking the UPND if he can join them. He said while the UPND are crying over the supposedly stolen elections in the past, Kambwili is talking about the future and issues that resonate well with the average Zambian voter. “Hakainde Hichilema was literally begging Chishimba Kambwili to join them instead of Kambwili himself begging for Hakainde’s support. While the UPND are crying over the supposedly stolen elections in the past, Kambwili is talking about the future and issues that resonate well with the average Zambian voter,” he said. He has since advised the UPND to consider identifying a new leader. Kambwili is just talking about allerged corrupt practices of pf which he knows because he was once a pf. 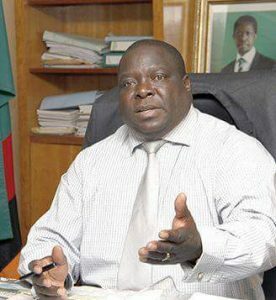 Kambwili does not own a political party, he has never vied presidential positions, he never told zambians what he could do if selected as leader!…in short kambwali has no vision! The difference between kambwili and HH on the political arena is same as deference between DAY AND NIGHT. to be a whistle blower does not mean kambwili is more politically sound than those in opposition! Displaying leadership qualities, and “letting-the-cat-out-of-the-bag” are two different issues. These are just two political players attacking from different directions! HH has been consistent in his approach to politics. He has always been issue-focussed especially on the economy and governance. HH won the 2016 presidential elections but was done a “Mugabe” by the PF and then put in prison for consistently shouting “thief”. Who would not appear “tired”. Being tired from a day’s work does not mean one has ceased to be a hard worker. You the same PF would be condemning HH if he continued to put pressure on president Lungu saying HH is not for dialogue! Double tongued to dribble? Zero. Anyone can see into this. Besides Mr Kambwili is a loose canon the PF are so scared off because of what he knows. The comment by this young man is loaded with PF tribal propaganda to try and take HH and UPND off the scent on the rigging trail. No. You are sponsored or volunteering for PF. What economic policies does Mr Kambwili have for Zambia other than the same disaster the PF is subjecting the people to? Of course the people in PF strongholds continue to vote for PF just as people in Eastern province still voted overwhelmingly for KK and UNIP in 1991 when the rest of the country overwhelmingly voted for change! The Eastern vote was not an indication of the true state of affairs re UNIP relevance to the challenges of the time. It was just a typical “wako ni wako” vote. 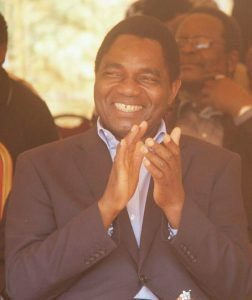 HH is very popular throughout the country but ECL is just using his incumbency ruthlessly. Tata muli caume sana. Ubu ebwaume tufwaya.Kambwili is a whistle blower and PF is scared of him because he was the ring. Please Zambian people support HH. Thank you Mr Msoni for your frank telling off of so-called political leaders of fake opposition parties. Mr Kabimba, Mr Tayali, Mr Chipimo, Dr Chishimba, try to be truthful to yourselves, please. Join PF or just state that you are trying to help PF as alliances!